TASHKENT -- Uzbekistan showed off its military might and troops' preparedness during its largest ever exercises last month. 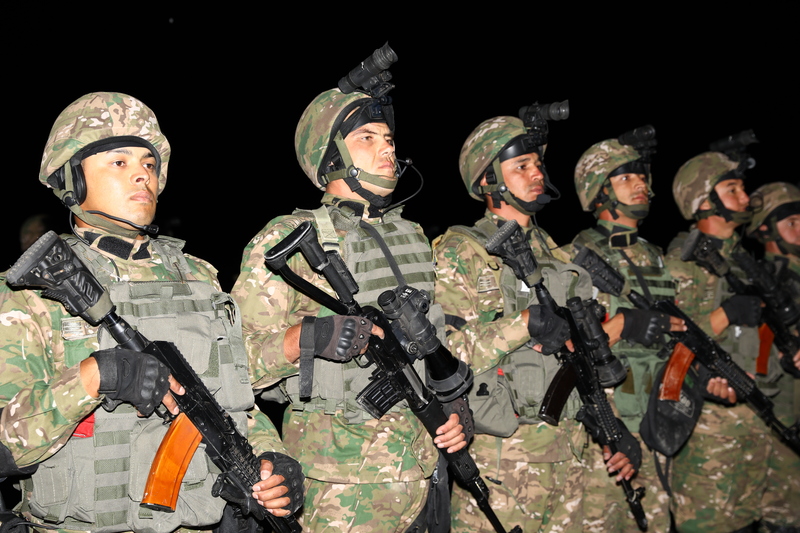 The drills, which took place November 26-30, involved all of Uzbekistan's armed forces and included thousands of troops. Warplanes, helicopters, tanks and paratrooper units participated. "This was the first time the combat readiness of the military was tested on such a large scale," the Uzbek Defence Ministry said in a statement announcing the start of the drills. "The exercise's main task was to verify the ability of the military to bring troops to the highest level of combat readiness in a set time," said the Defence Ministry, adding that another priority was "to check units' manpower levels and the supply of weapons, military vehicles and other equipment". The exercise began without advance warning, "but the troops were not taken by surprise," thanks to their excellent preparation throughout the year, reported Gazeta.uz, citing the Defence Ministry's press office. During the first day of the training exercises, troops completed a march including trucks and tanks. The Defence Ministry chose test sites in Shorsu, Angren, Forish, Kattakurgan, Nuriston, Termez, Nukus and Chirchik for the training exercises. President Shavkat Mirziyoyev on November 28 visited the Chirchik test site, where he inspected the combined operations of the air force and paratrooper, artillery, motorised rifle, tank and special forces. 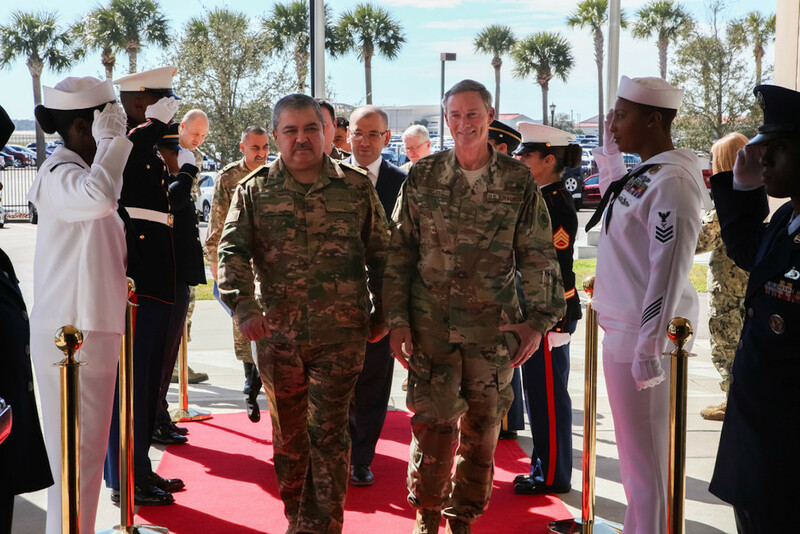 The drill "demonstrated the considerable professionalism and combat readiness of our troops and their ability to act as a cohesive whole," the president's press office said. The purpose of defence reforms that the country has carried out is to strengthen the security of Uzbekistan and ensure a peaceful life for its people, Mirziyoyev said during his visit. While addressing the nation's Security Council later the same day, Mirziyoyev said that this year the government had overhauled the structure of military units, leading to a reduction in the cost of supporting the troops. Outsourcing food supply has boosted combat readiness, he said. Thanks to the reforms, Uzbekistan advanced in this year's Global Firepower worldwide ranking of armed forces. The Uzbek armed forces rose nine spots to number 39 in the world, making it the strongest military in Central Asia, according to the ranking. Meanwhile, in October, reconnaissance officers from Uzbekistan won gold awards during the prestigious Exercise Cambrian Patrol 2018, the world’s toughest patrolling test, in Wales. "After the reforms carried out in Uzbekistan, the country's economic power is growing," Tashkent-based political scientist Umid Asatullayev told Caravanserai. As a result, he said, "The military wing is expecting the government to increase the military budget, modernise the military and supply arms." "The training exercises are the best way to showcase the army, and the president obviously expressed satisfaction with its preparedness," he said. Amid the reforms, Uzbekistan's military is forging friendly relations with other countries in the region. "I'm confident that these training exercises present no threat to the region," Asatullayev said. "Today it is impossible to imagine a full-scale military conflict in Central Asia with the involvement of all the armed forces of two hypothetical nations." "What is much more timely is the risk of infiltration by terrorists, rebellions or the creation of extremist cells in the country," he said. Uzbekistan's Foreign Ministry notified Kyrgyzstan about the training exercises, stressing that "the exercises are routine and are not directed against the interests of other nations", KGinform reported. In July, Uzbekistan and Kazakhstan carried out joint military exercises focused on counter-terrorism. The first stage of the Steppe Freedom exercise was held July 10-16 at the Matybulak training ground in Kazakhstan. The second stage took place July 21 at Forish Training Centre in Uzbekistan. The two nations plan to conduct such training exercises on a regular basis, Gazeta.uz reported. 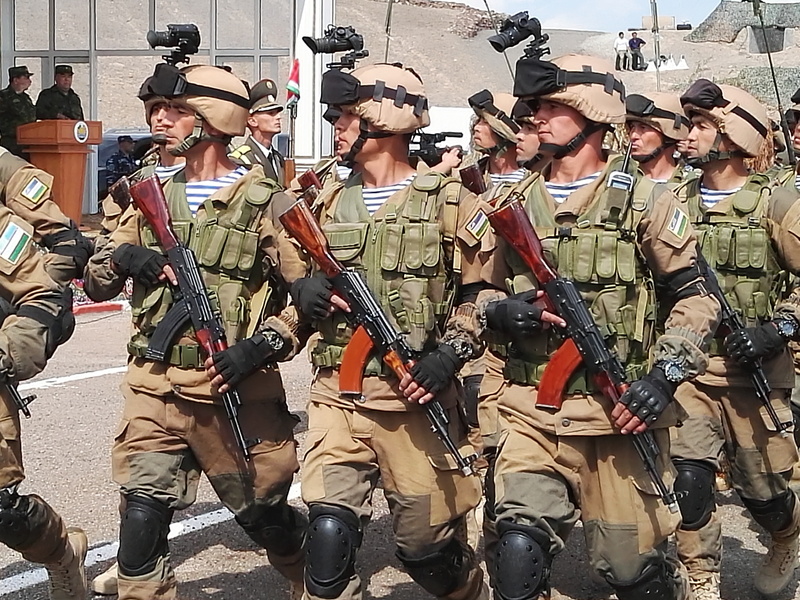 Similarly, in September, 600 Tajik and Uzbek soldiers conducted joint military training exercises in Sughd Province, Tajikistan, working together to destroy simulated terror organisations in a remote highland. Meanwhile, Uzbekistan is relying on the United States and other international partners to modernise its forces. On November 8, Uzbek Defence Minister Abdusalom Azizov hosted a US military delegation led by Colin Jackson, US deputy assistant secretary of defence for Afghanistan, Pakistan and Central Asia. "For us the United States is a reliable, time-tested partner with which friendly relations, co-operation and mutual support have become constant yet dynamic," Azizov said during the meeting.